I think it’s safe to say that my animal-print obsession is no secret. And neither is my love of a fluffy pom pom. Put those two things together and it takes my love to a whole other level. Be still my beating heart. How can you not love them. 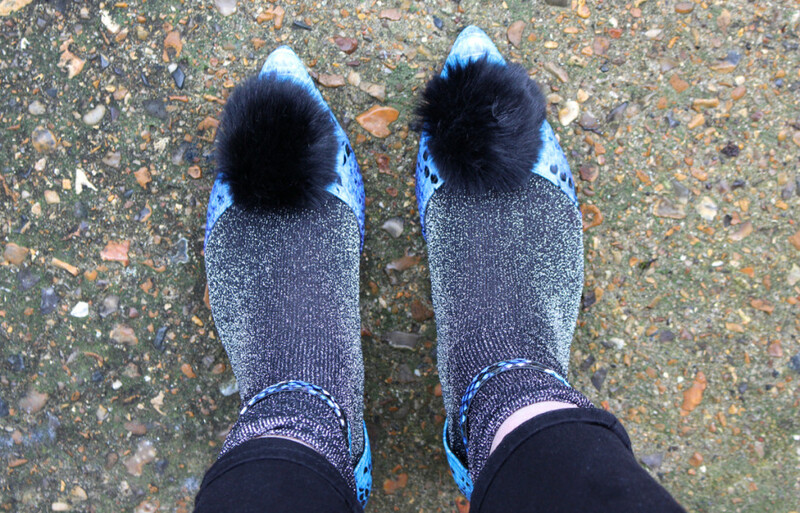 Yup, not content with wearing them with tights or bare feet I went one step further and added glitter socks. It would have been rude not to.